This Wall Sign Displays Signage on the Interior of the Business! This Name Plaque Comes with an Acrylic Non-Glare Overlay! This Wall Sign Ships Fast! Media Size: 7.5" x 10"
2.5" x 8.5" 3" x 4" 3" x 5" 3" x 8" 3" x 11.5" 3" x 15" 4" x 5.5" 4.5" x 24" 5.5" x 6" 5.5" x 9" 5.5" x 15" 6" x 7.5" 6" x 8.5"
7.5" x 11.75" 8.5" x 11" 8.5" x 16.5" 11.5" x 17"
Comprised of anodized black aluminum for a high-end appearance. Comes with 2-sided VHB tape that works fast for mounting on a wall. A suction cup allows easy changeout of graphics. 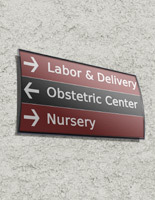 This wall sign make altering graphics very easy. The provided suction cup is the only tool necessary for making changes. This wall sign requires users to take off the acrylic overlay and insert the new messages. 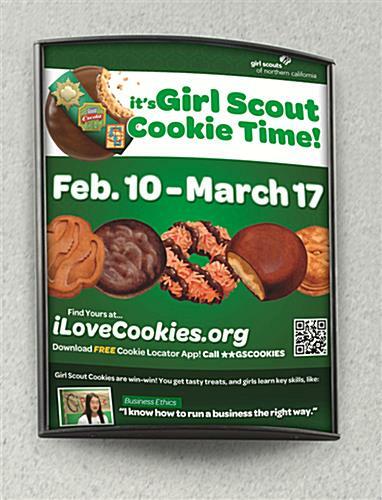 The construction is simple to accommodate companies that need to make lots of message changes. This wall sign does not include any images or graphics. Nonetheless, users are able to make their own messages and print them out using standard home printers. This wall sign, often called a name plate, when used with attractive prints, is the perfect way to help guests and visitors find their desired destination. 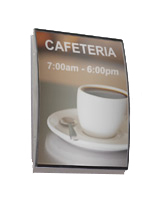 The way finding signage holder is easy to mount to the display surface thanks to the included double-sided VHB tape located on the rear side of the framing. 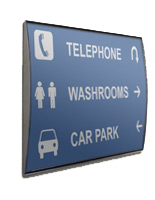 This wall sign allows users to present the info in portrait or landscape. Choose the orientation that works best for the situation. 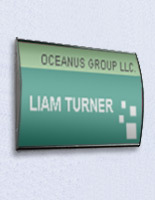 This wall sign, similar to a name plaque, catches the notice of customers when set-up on the interior of a building. Hallways, lobbies and door ways are excellent places for the unit. 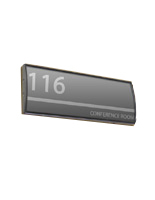 This wall sign is the ideal option for place with heavy foot traffic to show room numbers, directories, or a logo. The item may also be implemented as a way finding signage holder, to show people exactly how to get to where they are going. 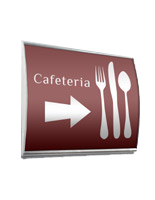 This wall sign, sometimes referred to as indoor signage, is frequently used in venues such as company headquarters, museums, medical centers, sporting arenas, transportation centers and educational facilities. 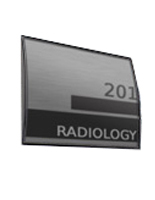 The signage holder has a ruggedly constructed aluminum exterior for frequent use. This wall sign features a neutral coloring to fit in with many locations. 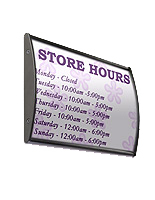 The signage holder has a convex shape to better attract attention. 7.9" x 10.1" x 0.875"